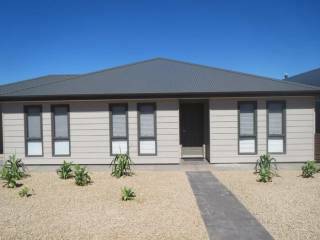 Chancesea is a spacious two-storey townhouse located on the northern side of Port Victoria, and can sleep up to 8 people. Chancesea has 3 bedrooms, (2 queen beds, trio bunk plus a trundle bed), with both queen bedrooms having an ensuite bathroom; plus another separate bathroom. Quilts & pillows are provided, and you can bring your own linen with you for your stay or hire it through the Country Getaways office. The main living area is upstairs and has a combined yet spacious dining/kitchen/lounge, with a leather lounge suite, large television and DVD player, and dining area. The kitchen is well equipped with a coffee machine, dishwasher, microwave and fridge/freezer, and has 180-degree sea views. Another lounge/television area is located on the ground floor and leads out to the back deck and secure yard. Chancesea is perfect for families and has a chess game, plus PlayStation 2 & Nintendo Wii game consoles, and some games. 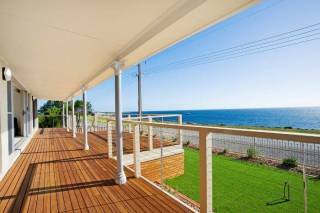 You can relax on the sheltered front balcony taking in the Port Victoria sea views or, if you prefer, the bar on the front deck. There is off-street parking behind a roller door with a high clearance for a boat and cars, plus parking in the driveway. Chancesea is a pet friendly property and has a secure rear yard. 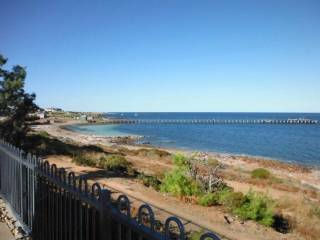 Chancesea is located a short walk to the northern Port Victoria beaches and a 5 minute drive to the boat ramp & jetty. 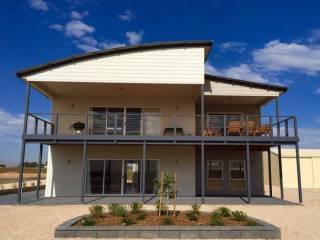 The main living area is upstairs and has a combined yet spacious dining/kitchen/lounge, with a leather lounge suite, large television and DVD player, and dining area. 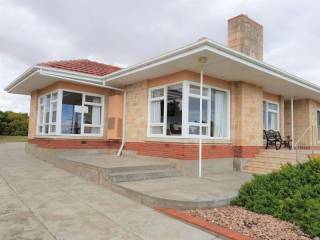 The kitchen is well equipped with a coffee pod machine (BYO Vittoria pods), dishwasher, microwave, airfryer and fridge/freezer, and has 180-degree sea views. Another lounge/television area is located on the ground floor and leads out to the back deck and secure yard. Chancesea is perfect for families and has a chess game, plus PlayStation 2 & Nintendo Wii game consoles, and some games. Wifi access for guests, stairlift available on request.